K9 Studios is a high school production studio that focuses on creating films. We specializes in 2D animation, 3D animation, live action, and virtual realty projects. where we offer a collection of high school animation and film courses. Please explore our site to get to know us! K9 Studios will provide an industry-linked Career Technical Education (CTE) program that enables students to reach their college/career goals and prepares them to be competitive in the global marketplace. This pathway program delivers high-quality instruction within an enriched learning environment that creates confident, effective thinkers and problems solvers. This pathway will also provide opportunity for all students from any school. 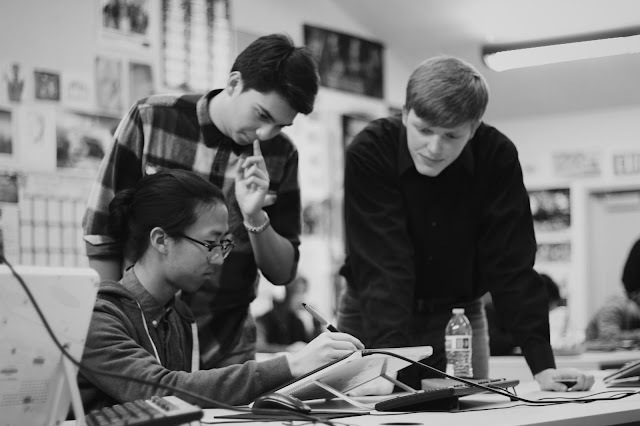 K9 Studios creates a post-secondary educational experience that models the apprentice style of instruction that students are being taught directly by industry professionals.